So responded H. W. ‘Bill’ Tilman to his own realisation that the Himalaya were too high for a mountaineer now well into his fifties. He would trade extremes of altitude for the romance of the sea with, at his journey’s end, mountains and glaciers at a smaller scale; and the less explored they were, the better he would like it. Within a couple of years he had progressed from sailing a 14-foot dinghy to his own 45-foot pilot cutter Mischief, readied her for deep-sea voyaging, and recruited a crew for this most ambitious of private expeditions. Well past her prime, Mischief carried Tilman, along with an ex-dairy farmer, two army officers and a retired civil servant, safely the length of the North and South Atlantic oceans, and through the notoriously difficult Magellan Strait, against strong prevailing winds, to their icy landfall in the far south of Chile. The shore party spent six weeks crossing the Patagonian ice cap, in both directions, returning to find that their vessel had suffered a broken propeller. Edging north under sail only, Mischief put into Valparaiso for repairs, and finally made it home to Lymington via the Panama Canal, for a total of 20,000 nautical miles sailed, in addition to a major exploration ‘first’ – all here related with the Skipper’s characteristic modesty and bone-dry humour, and many photographs. 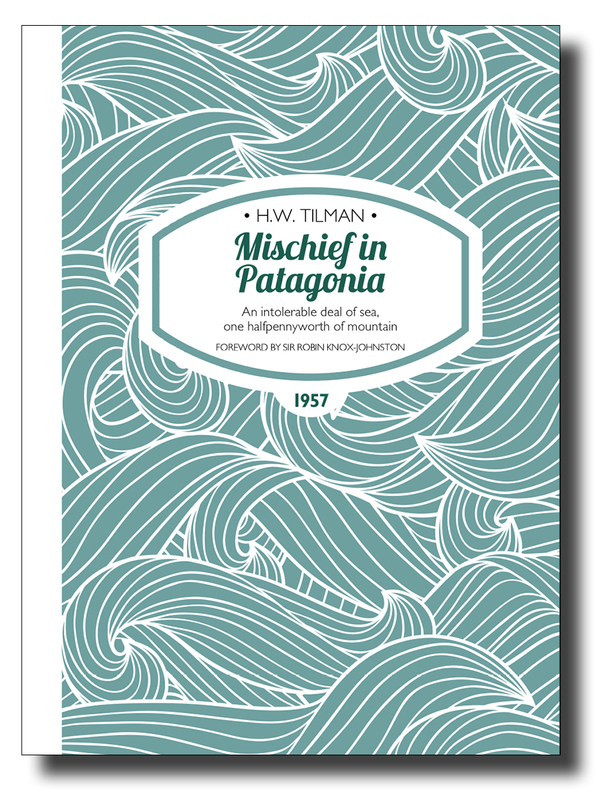 [Mischief in Patagonia is] one of the great sailing and exploration adventures. He describes the passage through the Magellan Strait in straightforward terms but, as those of us who have sailed in those channels know, it is a dangerous route with almost constant, cold adverse winds for the west-going vessel, of Force 7 or more. Despite this he achieved his objective and returned via the Panama Canal, a voyage of some 20,000 miles. In his amusing style of writing he describes the vicissitudes in a casual way that belies what he really achieved. Robin Knox-Johnston, four times UK Yachtsman of the Year, remains one of the world’s most celebrated sailors. Like Tilman, his hero and a fellow maverick, his adventurous spirit was incubated at Berkhamsted School. Leaving a career in the Merchant Navy with a Master’s certificate, he made the first single-handed, non-stop small-boat voyage around the world in 1969. Addicted to ocean racing, he still finds time to cruise the Greenland coast, following in the footsteps of Tilman. An inspirational champion of ocean cruising and racing, he was knighted in 1995 in recognition of his global sailing achievements. ISBN 978-1-909461-16-1; 216 x 156mm, 204 pages, photos, maps. Softcover with sewn binding, cover flaps and matt lamination.